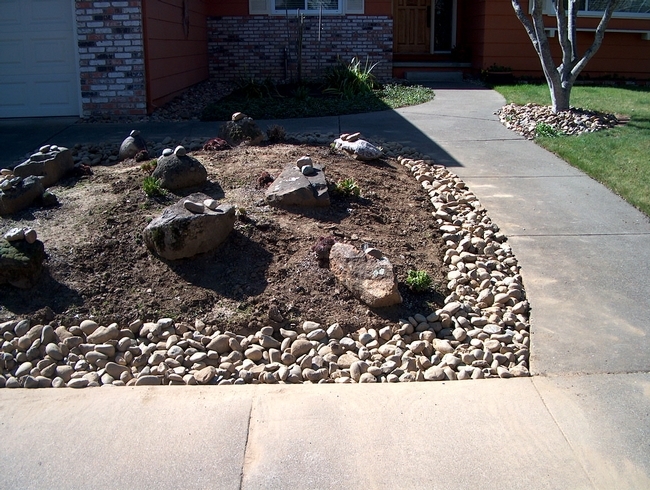 I have recently been revamping my yard with water conservation in mind. As I looked into the “cash for grass” and “rain garden” programs, I found that convincing my husband to remove the lawns and replace them with a more water-sparing landscape was a hard sell. His idea of water conservation is to just let the lawns die. For now, I've turned my energies to creating a rain garden in an area of my yard that tends to produce runoff. In wet weather, this silty water flows onto the sidewalk and then into the street. The plans that I perused required creating a declivity or basin filled with and surrounded by foliage and larger rocks. The rain garden is not a pond feature; it is actually dry most of the time. It is intended to hold water only briefly during and after a rain, allowing water to filter slowly through the soil and rocks. People have collected rainwater since ancient times, but the modern rain-garden concept originated in Prince George's County, Maryland, in 1990. By keeping water off the sidewalks and out of the streets,a rain-retention basin reduces the flow of contaminated water into storm drains. It slows the water flow, allowing soil and plants to break down and filter out the pollutants. Select your location carefully. Look for a natural declivity or a flat place that receives water from a downspout or overland flow during a storm. You can construct a rain garden on a hill but that requires more digging. Avoid locating it over a septic system or near tree roots. Also consider how the nearby landscape plants might adapt to the new watering regime. Finally, avoid underground pipes and pick an area that gets full or partial sun. Choose a design that complements your existing landscape. Size depends on the collection surface; a 1,000-square-foot rooftop requires at least a 200-square-foot garden. The garden should be able to hold an inch of rain at one time. In our mediterranean-type climate, we can expect little or no rainfall for at least six months every year. With that in mind, choose native or drought-tolerant plants. Those plants in the basin and the ones on the berm will have different water access so plan accordingly. You will have to water your plantings for the first year or so, until they get established. Mulch them with a heavy material,such as shredded wood or wood chips, that won't float away during the flooded periods. The area under consideration in my yard was actually a raised mound. After a rain there was always a mud slick on the sidewalk that filled up the parking strip and then flowed into the street. The hiccup in my plans was when I realized that I would have to remove and dispose of an astronomical amount of soil. So I had to shelve the rain-garden concept. I solved the runoff problem by digging a two- by two-foot trench around the mound. As it was, I was hard put to find a home for just that amount of soil. All my garden beds needed freshening, so I mixed the excavated soil with equal amounts of compost and topsoil. With that mixture, I fluffed up my planting beds. I then filled the resulting trench with about six inches of gravel and topped it off with two- by three-inch cobbles that matched the rest of my landscape. 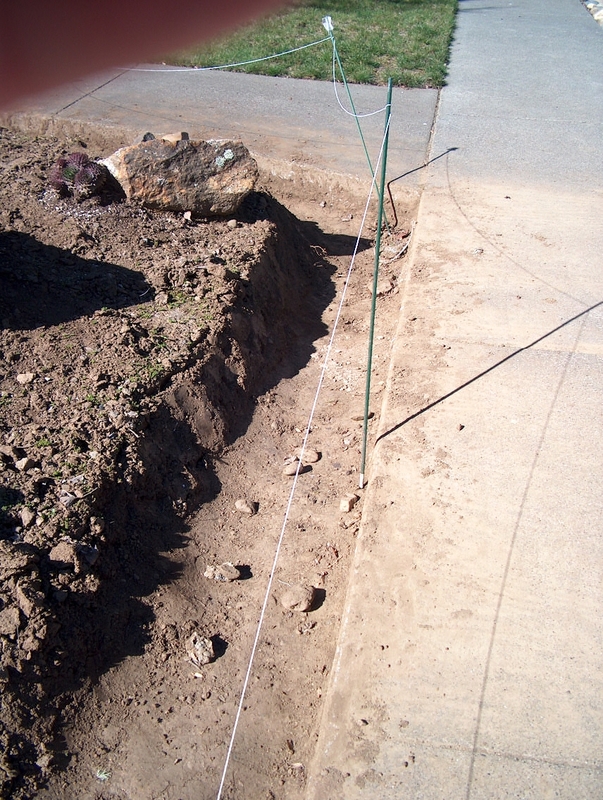 I now have created a so-called French drain around the problem location. Although I am not using the water for irrigation, I hope that percolating the water through the rocks will cleanse it naturally. Based on the meager rains we've had since I completed the work, the water is definitely being re-routed. I no longer see a mud slick on the sidewalk. Instead, the trenches catch the runoff to refill the aquifer. Years ago I heard about a small Midwestern town whose residents rarely locked their houses or car doors—except during harvest season. At that time of year, they “battened down the hatches.” If newcomers or some forgetful people failed to lock up, they could expect an overflowing bag of fresh produce either just inside their front door or on the seat of their car. I did not understand this humor until recently. For most of my life, I have not been an edible gardener. Flowers and shrubs were my interest. But when I became a Napa County Master Gardener, I wanted to see what all the hoopla was about, so I purchased a single tomato plant at our yearly tomato sale. I found a happy spot for it in the garden and just stood back and watched it grow and grow and grow. I had no clue how much one plant would yield. It was not unusual for me to get a large bowl of tomatoes every other day at peak production. By the end of the season I was completely overwhelmed with tomatoes. So now I understand the locked-doors story. To my surprise, my husband recently found a use for the surplus yellow tomato slices that I had stored in our freezer. He announced that the “lemon slices” were just the ticket in his iced tea. A single zucchini plant can yield three to nine pounds of squash. I have seen zucchini in my mother's garden that seemed to double in size overnight. Considering that a single zucchini plant can cover six feet of ground, I wonder why anyone would ever want more than one. 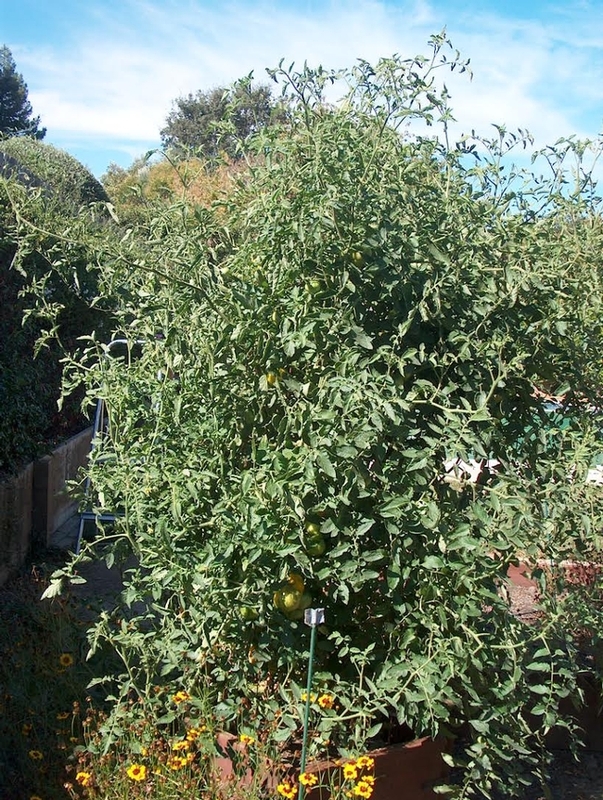 A tomato plant can grow five feet tall and just as wide and produce 10 to 15 pounds of fruit in a season. A study done by Purdue University Cooperative Extension found that 25 strawberry plants could yield 25 to 50 quarts of berries between mid-May and late summer. A standard-sized apple tree can produce 10 to 20 bushels of fruit. A single family can eat just so much produce. What can be done with the surplus? For people of my parents' generation, who experienced the Great Depression and World War II, preserving food was de rigueur. They learned how to do so early in their lives and continued to can, freeze, pickle and sometimes dry their excess produce throughout their adult years. But at least in my circle of acquaintances, folks don't seem to enjoy these activities as much anymore. Over the years, I have frequently seen large canning pots, preserving jars and accouterments for canning in secondhand stores. Not recently though. We seem to be experiencing a resurgence of interest in food preservation. Two years ago, my niece quit her job to stay home and raise her two boys. She and her husband turned their entire yard into an edible garden. She cans, dehydrates and freezes fruits and vegetables all year long. She and her family reap the rewards on so many levels. If you are interested in food preservation but don't know where to begin, you can find some resources online. Sacramento County has a Master Food Preserver program. Check the web site (http://cesacramento.ucanr.edu/Master_Food_Preservers_181/) forthe schedule of workshops and classes. When you are planning your fall garden, make sure to have a strategy in place to preserve your excess. Otherwise you just might be that person in stealth gear leaving overflowing bags of produce in the cars or on the front porches of your neighbors. As our drought and water restrictions intensify, outdoor irrigation is going to be more and more restricted. 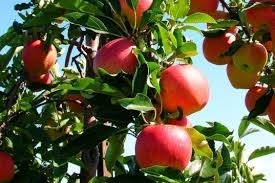 Fruit trees take three to seven years to become established. Like other perennial plants, they are worth saving during a drought. In our climate, fruit trees do need to be watered periodically to stay healthy. A fruit tree's water needs depend on its size, day length and the weather (air temperature, humidity and wind). Under-watering will reduce fruit size and tree growth. With extreme water stress, fruit can sunburn and may shrivel and drop, and the tree may lose its leaves. Can your fruit trees survive with less water? Yes, they can. In a year with normal rainfall, the soil at the beginning of May is holding as much water as it can. Ideally, you would observe the surrounding hills and start watering when the grass turns brown—a sign that the top six inches or so of soil have dried out. At that point, young trees need to be watered every 10 days to 2 weeks. Established trees only need water every three to four weeks from June through August. This infrequent watering encourages deeper roots, which makes more water available to the tree. Trees that are one to two years old need just one to two gallons of water per day (applied 15 to 30 gallons at a time). A mature tree can use 50 gallons on a hot summer day. It might need 1,000 gallons every four weeks to replenish the water it takes out of the soil. Make sure you water slowly enough so that all of the water is absorbed. Younger trees are more susceptible to water stress than established trees. And although you may have heard that citrus trees are drought resistant, they have shallow roots and are actually among the least drought-resistant fruit trees. So what actions should you take in a drought year? Water early. In a drought year, the root zone will dry out earlier so you have to start watering earlier. Adequate irrigation early in the season is more important than water later. Trees grow more slowly later in the season, and most trees will have already borne fruit. They may lose their leaves and set few flower buds, but they will survive. In extreme drought, deep watering once or twice in the spring and early summer will likely keep trees alive. However, these trees may not bear fruit. Mulch your soil. Keep soil moisture from evaporating by applying a generous layer of mulch. Mulching also minimizes weeds that compete with your trees for water. Organic mulch will increase soil fertility and the soil's ability to hold water. Apply mulch to moist soil. If your garden has already dried out quite a bit, water first, then mulch. Keep your trees small. The smaller the tree, the less water it will need. Home gardeners rarely need all the fruit that a mature standard or semi-dwarf tree produces. Smaller trees are also easier to manage. Thin stone fruits, apples and pears when they have the diameter of a quarter, keeping only about half as many fruits as you normally would. Fewer fruits require less water, and you have a better chance of getting good quality. Prune hard. During the dormant season, cut back your fruit trees by about one-third. Then prune during the growing season to minimize growth. The goal is to limit the number of leaves the tree is trying to support. You will sacrifice fruit, but your tree will survive on less water. When you prune, paint the newly exposed limbs and trunk area with a mix of equal parts light-colored interior latex paint and water. Water the right trees. Among common fruit and nut trees, almonds, figs and olives are the most drought-tolerant. Nectarines, peaches and citrus are the least tolerant. Grow healthy soil. Keep adding amendments. The more organic matter in your soil, the more water it will hold. Healthy soil holds up to five times as much water as depleted soil. Last winter, Napa Valley gardens experienced extreme, prolonged and, in many cases, killer low temperatures. Coupled with the unusually low rainfall, the chill wreaked havoc in many gardens. My ‘Meyer' lemon tree was a casualty. I was stumped as to why it didn't survive as I had faithfully covered it every night. I have since found out that covering your plant is not the total answer to frost protection. To minimize frost damage, try to choose plants that are not frost sensitive. If you simply must have a plant that is frost tender, at least put it in a location that gives it a fighting chance in cold weather. Identify your garden's warmest sites, perhaps an area with western or southern exposure or a spot against a western-facing wall. The wall stores the sun's heat during the day and releases it at night. Fertilization and pruning also play a role in frost tolerance. Discontinue fertilizers and refrain from pruning after late August. The nitrogen in fertilizers promotes growth, as does pruning, and this tender new growth is sensitive to low temperatures. Citrus trees are an exception. Consult resources like Sunset's Western Garden Book to understand your plant's fertilizer requirements going into the cold months. I was not aware of how important it is to keep plants watered during weather extremes. A thirsty plant is already stressed. Add a frost and you have a deadly combination. If nature gives us rain in winter, your plants are hydrated and less stressed. No rain? Get out there and water your landscape. Succulents are an exception and should be somewhat dry going into a frost. I had turned off my sprinkler system and was thoughtless as to my garden's condition. When cold weather arrived, my water-deprived and stressed garden was hit hard. Keep the soil clear under your plantings. Mulch or debris under the plant prevents the soil from absorbing daytime heat, so it remains cold. Keeping soil cleared also helps to prevent disease and discourage pests. Cleared soil warms up faster and can release that warmth back into the air. Replace mulch in the late spring or early summer to help keep the shallow roots cool and reduce water loss in hot weather. 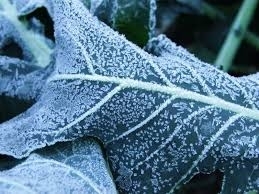 Frost injures plants by causing ice crystals to form in plant cells. This makes water unavailable to plant tissues and disrupts the movement of fluids. Frost-damaged leaves appear burned and shriveled and turn dark brown or black. So how does one prepare for cold weather? Many plants can survive short periods of below-freezing temperatures. You may see some blackened branch ends and dieback but nothing life threatening. Prolonged low temperatures cause most of the problems. If frost is forecast and it hasn't rained recently, water your landscape. Citrus and other frost-sensitive plants require further protection. Cover these plants with a lightweight, breathable fabric like floating row cover. Other commonly used materials include old sheets or bed covers. Build a structure to keep the cover from touching and burning the plant. Tomato frames can provide support for frost cloth. Remove the cover during the day so plants can enjoy the sunshine and air. Recover at dusk. Lighting under the covers will supply heat, but make sure to use only lights and extension cords rated for outdoor use. If you didn't heed the frost warnings, you may now have damaged plants. Resist pruning the dead or damaged foliage as it will protect the plant from further damage. Force yourself to leave the plant alone until it sends out green shoots. You have been forewarned. The frost months are fast approaching so make preparations now. This year, you are invited to participate in a celebration—actually two simultaneous celebrations. The first is a centennial. One hundred years ago, President Woodrow Wilson signed the Smith-Lever Act creating Cooperative Extension. Part of each state's land-grant university, Cooperative Extension (CE) was envisioned as a nationwide system of community-based education. Initially operating in rural areas, CE programs now serve urban and suburban communities, too. The University of California is a land-grant university. The first campus, in Berkeley, had a strong agricultural focus. In 1907, the university established a research farm that became the U. C. Davis campus, and the Citrus Experiment Station in Riverside, the foundation for the U.C. campus there. Counties wanting to participate in C. E. had to allocate funding for it. They also had to organize farmers into Farm Bureaus .Each community would get a farm advisor to work with the Farm Bureau. In 1913, its farm advisor in place, Humboldt County became the first county to join Cooperative Extension. Seven more counties, including Napa, joined the partnership in 1914. U.C. Cooperative Extension is part of the University of California's Division of Agriculture and Natural Resources. It encompasses 200 C.E. advisors, 130 specialists, 57 county offices and nine research and extension centers. The Master Gardener program, including the active Napa Valley branch, operates under the purview of U.C. Cooperative Extension. Farm advisor Dean Donaldson organized the U.C.C.E. Master Gardeners of Napa County in 1995. The group will celebrate its 20thanniversary next year. It continues to expand outreach to home gardeners in Napa County. Napa County has been agriculturally important since before it became a county in 1850. Grain was the main crop while California was still part of Mexico, with wheat grown along the Napa River. By 1880, Napa County produced wheat, barley, wool, wine and fruit and shipped these crops across the country. By the beginning of the 20th century, there were an estimated 500,000 fruit and nut trees in the valley, including apples, cherries, apricots, peaches, pears, plums, olives, almonds and walnuts. At the time, prunes and grapes were the largest crops. The ‘Hartley' walnut and ‘Boysenberry', both developed in Napa Valley, are stars of our county's agricultural history. John Hartley emigrated from England to California in 1884, moving to Napa in 1904. He purchased land with Persian walnuts, known for producing large crops of heart-shaped walnuts with mild flavor. At the 1915 Panama-Pacific International Exposition in San Francisco, judges awarded the walnut a medal for exceptional quality and named it the ‘Hartley' walnut. In the 1920s, Rudolf Boysen experimented with crossing various berries. In 1923 he crossed a blackberry with a loganberry and a raspberry to create the Boysenberry. In the 1930s, Boysen sold the rights to his fruit to Walter Knott in Southern California, who later would found Knott's Berry Farm. The fruit was first sold commercially in 1935. 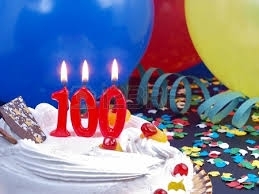 To celebrate the centennial, you are invited to participate in a science project. On May 8, the 100th anniversary of the Smith-Lever Act, Cooperative Extension invites all Californians to become citizen scientists for a day and help collect scientific data. To participate, simply look around your home or workplace and record your observations on any or all of these three questions: How many pollinators do you see? How do you conserve water? Where is food grown in your community? To record your observations, visit http://beascientist.ucanr.edu. Workshop: Napa County Master Gardeners will lead a workshop on “Container Gardening and Succulents” on Saturday, May 17, from 9:30 a.m. to 11:30 a.m., at the Senior Multi-Use Center, 2185 Elliott Drive, American Canyon. Grow gardens that are mobile. Discover the best containers, soil and locations for your plants to prosper. Gain confidence to work with unfamiliar types of plants. Online registration (credit card only); Mail in registration (cash or check only).